Track Remote Workers With Worksnaps | Brand On! If you have remote or virtual workers, wouldn’t it be nice to know exactly what they are working on—so they are staying on task, getting your work done and only billing you for your jobs and not someone else’s? Great news: Worksnaps does all this, by giving remote workers a place where they can accurately track what they are doing. Better yet, it takes screenshots of the workers (using their webcams) to ensure they are really in front of their computer when they say they are. According to Fred Sexton (a partner behind Worksnaps and a personal connection of mine), you can also integrate Worksnaps with some of the leading project management and billing systems, including Basecamp, Freshbooks and Harvest. 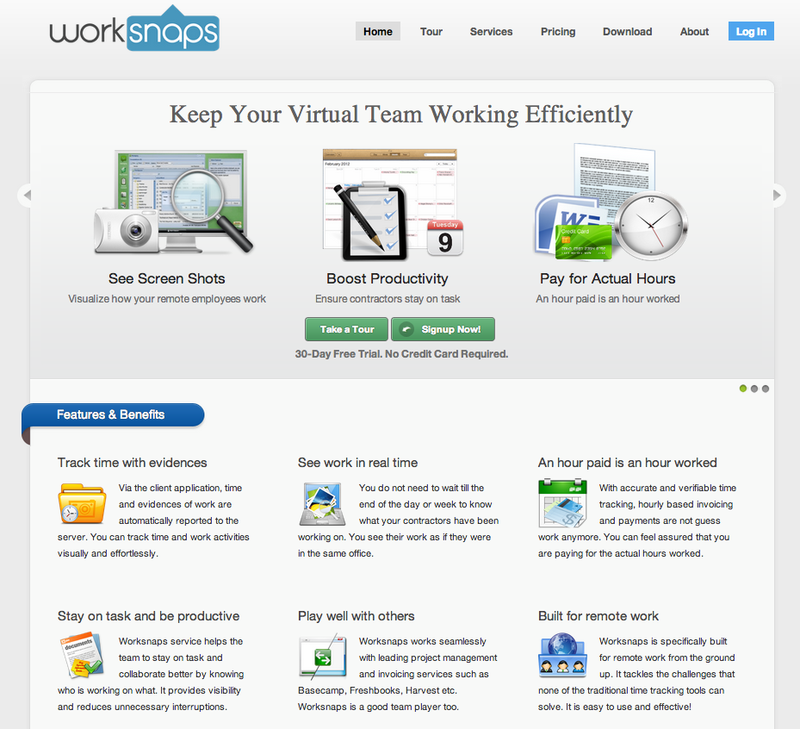 There’s more to it, so be sure to check out all of Worksnaps’ features. Cost: Free to $60/month depending mainly on the number of users.